After a field guide, a pair of binoculars is the next most important part of your bird watching kit. It is easy to think that the more powerful the binoculars the better they are. I have even had optics staff try to convince me of that. A good configuration for birding is 8x43. This means the magnification is 8x and the objective lens is 43mm. If the magnification is much greater, say 12x, it becomes much harder to hold them still enough to get good views and you have a much narrower field of view. That means that you will have more trouble locating the bird through you binoculars. The smaller 7x is very good too, with an even greater field of view. Smaller binoculars are available and can be more convenient as they can fit in a pocket and are lighter, but unless they are expensive, top of the range optics, they are not likely to provide satisfying viewing. Porro prism binoculars have the objective lens (bigger one) offset from the eyepiece lens, dogleg fashion. 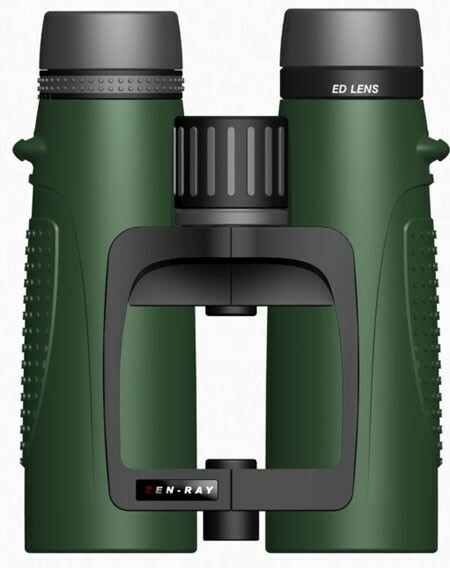 Roof prism binoculars have the the prism arrangement inline. Roof prisms are more compact to use, but more complex to build, so will be more expensive. This could mean that dollar for dollar, you will get better value and performance from a porro. The only way to make an informed decision is to try before you buy. The same pair of binoculars can be perfect for one person but not good for you. It always pays to do your research too. A binocular harness is more comfortable than a neck strap for most people. 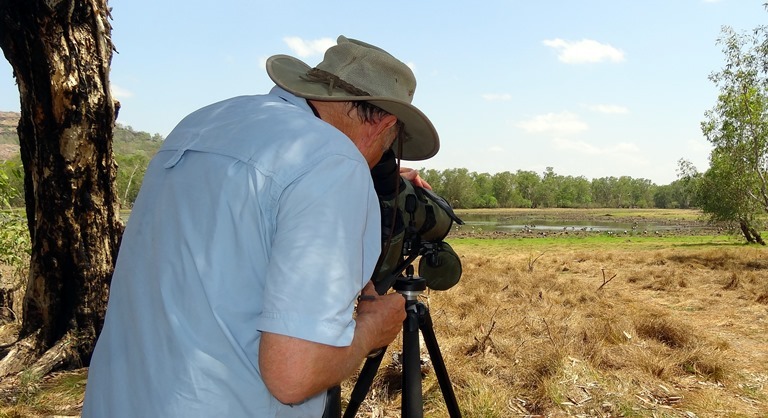 Spotting scopes are great for longer distance viewing, such as shore birds and water birds. The scope must be mounted on a tri-pod. The tri-pod should be of good quality, stable, and well matched to the scope to ensure a good quality view. Camera adaptors are available, allowing you to swing the camera lens up to the eyepiece for a photo, and then swing it our of the way for normal viewing. Here are details for a simple camera phone digiscoping set-up.